IDEX İstanbul Exhibition, the only international trade fair of the oral and dental health field, is hosting buyer delegations from 75 countries including Europe, Africa, the Balkans, the Gulf States, CIS, and the Middle East. Organized for the 16th time, IDEX İstanbul Exhibition presents numerous new technologies ranging from painless anesthesia to pain treatment during implant procedures, from preventing swelling and bruising to denture insertion in a single visit. The 16th Istanbul Oral-Dental Health, Equipment and Materials Exhibition (IDEX Istanbul) presenting new technologies that will end pain and fear in dental treatments has opened its doors at CNR EXPO Yeşilköy. The exhibition will stay open until April 14 showcasing many more new technologies ranging from painless anesthesia to pain treatment during implant procedures, from preventing swelling and bruising to denture insertion in a single visit. IDEX, one of the three largest trade fairs in its field in the region, takes place on 30 thousand square meters area with the participation of 300 companies. Organized by CNR Holding company Pozitif Fairs in collaboration with the Turkish Dental Businessmen Association (DİŞSİAD), IDEX İstanbul is the only international event of the Turkish dental industry. Buyer delegations coming within the scope of B2B Matchmaking Programme from 75 countries including Europe, the Balkans, the Gulf Countries, Africa, CIS, and the Middle East get together with the exhibiting companies. Speaking at the opening of the exhibition, CNR Holding CEO Ali Bulut said that IDEX Istanbul Fair, where 75% of the participants were companies from abroad, holds the record on the highest international participation rate among all the trade fairs organized in Turkey. Emphasizing that the size of the oral and dental health industry was close to 1 billion dollars, Bulut added, "The total exports of medical, oral and dental health and pharmaceutical sectors of our country combined is over 2 billion dollars. We will work harder to make IDEX one of the top two exhibitions in the world in 2020." Stating that there were nearly 100 domestic manufacturers in the industry, DİŞSİAD President Ali Çakır said, "Dental treatment market is growing fast. In addition to National participation of Brazil, Taiwan, Pakistan, China and Korea this year, we have individual participants from 7 different countries. Last year IDEX Istanbul had 100 million dollars of trade volume. This year we aim to increase it to 150 million dollars." Recep Uslu, the Vice President of Turkish Medicine and Medical Devices Agency (TİTCK), shared his impressions on the exhibition as follows, "The top 5 countries we import from are Germany, USA, Switzerland, China and Italy whereas we export the most products to Germany, France, the Netherlands, Iraq, and Cyprus." Ali Çakır, DİŞSİAD Chairman, Muharrem Değerli, Istanbul General Tooth Prothesis Technicians and Artisans Chamber (İDTO) Chairman, Celal Korkut Yıldırım, Turkish Dental Association (TDB) President, and Recep Uslu Turkish Medicine and Medical Devices Agency (TİTCK) Vice President participated at the opening of İDEX İstanbul Exhibition hosted by CNR Holding Chairwoman Ceyda Erem. The exhibition organized to draw attention to the preventative field in dental health will last until April 14 and can be visited between 10:00 to 19:00. IDEX Istanbul, one of the world's three biggest trade fairs in the oral and dental health field and the only international event of the Turkish dental industry, welcomes visitors for the 16th time at CNR EXPO Yeşilköy. Entertaining workshops are designed to raise awareness and prevent the fear of the dentist. Students overcome their fear after the workshops end, expressing their desire to become a dentist in the future. Pre-school and primary school students were awarded in the ceremony for their oral and dental health themed paintings. Students were awarded certificates, bicycles, scootes and backpacks. The paintings are displayed at the exhibition venue. 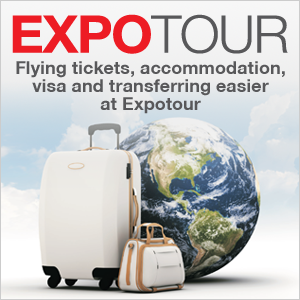 Promotional Products Industry will rise to the top with PROMexpo! Promotürk Association held the largest Turkey Meeting in Istanbul, with the participation of its members. The Association united manufacturers, sellers, marketing professionals at the event, sharing international activities with the members. Promotürk Chairman Dr. Abdullah Gürz, CNR Holding CEO Ali Bulut and Economics Professor. Dr. Emre Alkın spoke at the event. Association PROMEXO, Corporate Gifts & Promotional Products exhibition, which aims to contribute to the Turkish economy, will be organized by CNR Holding, with the support of Promotürk. PROMEXO will open its doors for the 32nd time on October 09-12, 2019 at CNR EXPO Yeşilköy with the aim of carrying the promotional products industry to the top. EVTEKS that will open its doors at CNR Expo İstanbul, the center of global trade, on April 23, will be the largest commercial meeting of the home textiles industry. The exhibition will also host seminars where world-renowned designers provide guidance to boost the development of the sector, and one of these designers is Dutch stylist Milou Ket. Milou Ket is a world-renowned stylist from the Netherlands with unique and extensive experience as a concept designer and as a consultant in retail, buying, and the creation of collections. With her international scope and forward-thinking vision, she is known for her insights in emerging trends for the immediate future, translated and applied in a practical as well as an aesthetic manner. Milou Ket will talk about 2020/2021 interior trends and share her inspirational ideas about colours, atmosphere, style, prints, materials, and designs with visitors in the EVTEKS trend area. IDEX ISTANBUL - Oral and Dental Health Equipment and Materials Exhibition was held for the 16th time at CNR EXPO Yeşilköy, the center of global trade, on April 11. The exhibition provided significant support to the development and trade volume of the Turkish dental industry. More than 300 domestic and international companies and over 1000 brands displayed their products at IDEX where 15 thousand professional buyers were hosted on 25 thousand square meters area. 16th IDEX Istanbul, Oral-Dental Health Equipment and Materials Exhibition hosted several workshops and courses for oral-dental health industry professionals and students. New developments were discussed at the courses, which were organized at 2-5 entrance of the exhibition venue, in special rooms with a capacity of 20 people. Please click here for information about the academicians. AYMOD International Footwear Fashion Exhibition welcomed more than 1.000 brands that shape the footwear and leather accessories industry at CNR EXPO İstanbul. Büyükekşi pointed out that the Footwear Industry carries great importance for the Turkish Fair Organization industry: “We are organizing AYMOD for the 61’st time. This is remarkable for our industry. I always considered it to be a great example of collaboration. This is why the footwear industry never strayed from its path and achieved its targets. AYMOD, organized by CNR Holding and supported by TASD, hosted procurement committees from 60 countries on 60 thousand sqm. Acclaimed designers holding numerous international awards in product and furniture design will get together with visitors at the seminars in EVTEKS, one of the two largest home textiles exhibitions in the world. Italian Ilaria Bianchi is one of the designers who will take part in the seminars where various topics such as recent developments on the industry, innovations and design technologies will be discussed. Product and furniture designer Ilaria Bianchi who has her own design studio works for galleries, companies and private clients. After graduating from Turin Polytechnic with a degree in Industrial Design, she completed her master's degree in Ceramic, Furniture and Jewelry Design at Central Saint Martins in London and started her own practice in 2015. Her work, which uses a multidisciplinary approach, ranges from industrial design to unique pieces, to installations. It molds artisanal and technical techniques, studying design solutions with an analytical and critical perspective, and a strong focus on sustainability. Her works are shown in galleries, cultural centers and international fairs such as the Victoria & Albert Museum, Triennale di Milano, Dimore Gallery (Dimore Studio), Galleria Luisa Delle Piane, Secondome Gallery, MiArt, Stockholm Design Fair, London Design Fair, Salone del Mobile, and many others. Her Duo Shelf project is one of the WallPaper 2018 Design Award winners. In 2017 Ilaria was selected as one of the 100 "ambassadors of Italian design," for the Italian Design Day event promoted by the Ministry of Foreign Affairs; she's also included in the "Under 35 Italian Design" exhibition at Triennale di Milano. In 2016, she founded The Ladies' Room collective with Agustina Bottoni, Astrid Luglio, and Sara Ricciardi. Their project, Fènomena, was selected as one of the 40 best exhibitions of Fuorisalone 2018 by the scientific committee of the Milan Design Award. EVTEKS, which has been continuously supporting the Turkish home textiles exports for the past 25 years, offers its visitors freshness, innovation, and fashion together with the latest designs. The world-famous designer Sanne Schuurman is coming to EVTEKS Trend Area, where 2020 home textiles trends will be determined. Schuurman who expresses herself by combining her playful and experimental work style with layered colors, materials, and textures, talked about her participation in EVTEKS, "Taking part in EVTEKS seminars has always attracted the interest of most important designers in the world. Because expressing oneself as a designer and sharing dreams requires total professionalism. Stepping into the professional design world, means your colleagues also become your competitors. I felt that bundling the creative talent was a much more logical step, as the creative force of together could open doors to the industry that would otherwise be left unopened. This collective energy is, to me, the driving power of envisions and, convinced that a methodology of this kind is extremely valuable, I believe it should be widely distributed. With my entrepreneurial character and a strong strategy, I want to keep on pushing the boundaries of envisions and inspire companies both in and outside of the design realm." 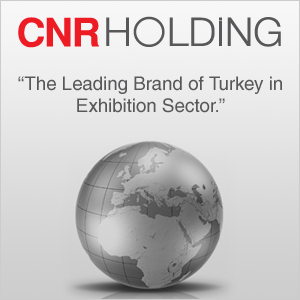 CNR Food Istanbul, the biggest food exhibition in Eurasia, continues to grow every year on its way to become the world's largest. The Association of Supervision and Certification of Food Products has joined among the supporters of CNR Food, Turkey's unmatched food trade fair regarding the exhibition area, exhibitors, visitors, and trade volume. 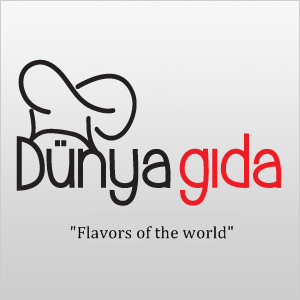 The Association is the largest organization operating in the halal food industry in Turkey. The 5th Hall of the exhibition is allocated for the halal food sector with the protocol signed between CNR Holding and GIMDES. In the 7th Halal and Tayyib Products Special Area organized simultaneously with CNR Food, Turkey's leading manufacturers of halal food products will meet international buyers. More than 1,000 brands that shape the footwear and leather goods industry meet with international buyers on April 3rd for the 61st time. DEX Istanbul, Oral-Dental Health Equipment and Materials Exhibition organized for the 16th time, one of the world's three biggest trade fairs in the oral and dental health field and the only international event of the Turkish Dental Industry, will host the substantial Dental Tribune Turkey Symposium. The innovations and developments in the industry will be discussed extensively at the exhibition. The most important academicians and experts of the dental industry will speak at the event. ISEC, which will be the first international HLS exhibition in Turkey, will open in Istanbul on January 2020, at CNR Expo Yeşilköy. Taiwan National Pavilion at IDEX 2019! Taiwan follows Brazil and Korea to participate as a national pavilion at IDEX İstanbul, the only international trade fair in the oral and dental health sector held in Turkey. IDEX Istanbul Oral-Dental Health Equipment and Materials Exhibition is one of the world's three largest trade fairs in its field. Organized for the 16th time by CNR Holding company Pozitif Fairs in collaboration with the Turkish Dental Businessmen Association (DİSŞİAD), IDEX will take place on April 11-14, 2019 and support the growth of the industry. M1 series: LED Dental Mirror, Autoclavable, Engineering Plastic, Able to Change Mirror, Front Surface Mirror, Anti-fog Mirror, Color Code Management, 100% Infection Control, Light Source Module Design. M2 series: Replaceable Dental Mirror, Autoclavable, Engineering Plastic, Able to Change Mirror, Front Surface Mirror, Anti-fog Mirror, Color Code Management, 100% Infection Control, Endo Gauge Design. M3 series: AirClean Dental Mirror, Quick Connector to 3 Way Spray, Autoclavable, Engineering Plastic, Able to Change Mirror, Front Surface Mirror, Hydrophobic Mirrors, 100% Infection Control, Color Code Management. 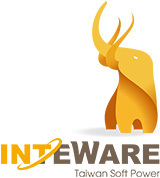 Inteware, offers a one-stop digital solution including a 3D printer; scanner; and design, implant planning and orthodontic setup software. The advanced technology allows you to efficiently and accurately manufacture customized abutments, surgical guides, aligners and temporary crowns and bridges in 30 minutes in-house. Nano-Mill Technology, has been a professional Taiwan supplier specializing in manufacturing and exporting Carbide Endmills. Our tools are made of the best raw materials from Germany, well-grinded with top-end CNC Rollomatic machine from Switzerland. And the adoption of leading coating technology from Balzers has guaranteed product quality and performance on all kinds of material, include advancing dental field. Song Young International Co. is a professional manufacturer in dental Products related field. Since 1997, we have built up OEM ODM relationship between the companies with good reputation in the dental field in Japan, America, and Europe. 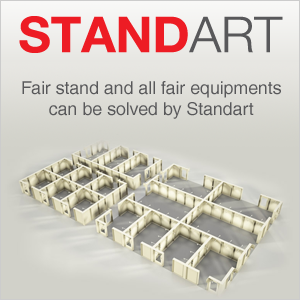 Our products are produced conscientiously to meet the world-class standards, and have obtained many technical certifications. We have developed our worldwide market, especially base on Japan, America, Europe as our main target markets. T-Plus is full of passion for the future and is making every effort to become what we want to be: the best in the world. T-Plus creates and manufactures world-class implant systems. A company full of vitality and potential, with unique technology and a rich experience, T-Plus is expanding actively to overseas markets, from Taiwan, around Asia, all over the world. Sea enthusiasts have found everything they need from boats and yachts to sailboats, jet skis to various marine materials, which offer a combination of speed and comfort at CNR Eurasia Boat Show. A total of 73 thousand 376 people of which 2 thousand 275 were international visited the show. Savas Karakaş, Turkey's most prominent documentary filmmaker, and Cumhur Gokova, named The Athlete of the Year in 2016 and has won the USA World Championship in 2018, were among the speakers at the seminars held during the show. CNR Eurasia Boat Show meeting all the needs and expectations of sea enthusiasts has drawn great interest. A vast variety of boats, jet skis, sailboats and various marine materials were displayed at CNR Eurasia Boat Show organized by Pozitif Fairs, a CNR Holding company, in collaboration with the Turkish Marine Industry Association (DENTUR). 73 thousand 376 people of which 2 thousand 275 were international from 87 countries including France, England, Greece, Spain, Italy, Russia and CIS, Germany, Tunisia, Bulgaria, Greece, Saudi Arabia, Qatar, the United Arab Emirates (UAE) and Poland have visited the show. Sea Talks was one of the highlights in the show that hosted many exciting events. Ayşegül Dinçkök, one of the well-known figures of the social life, met with art lovers and sea enthusiasts interested in underwater photography at the panel titled, “Mysteries of the Sea with Women Underwater Photographers” organized within CNR Eurasia Boat Show. Cumhur Gökova who was named the Athlete of the Year in 2016 and later won the World Championship in 2018 in the USA was among the seminar speakers in the show. Savaş Karakaş, the world-renowned prominent documentary filmmaker in Turkey, shared his discoveries and experiences with visitors at the Show. Savaş Karakaş documentaries such as Echoes from the Deep, The Last Warrior: Midilli (ex-Breslau), The Last Sponge Diver, Dancing with the Manta Rays, which perfectly reflect Turkey's maritime culture were screened throughout the Show at the Seanema section and received tremendous interest from visitors. 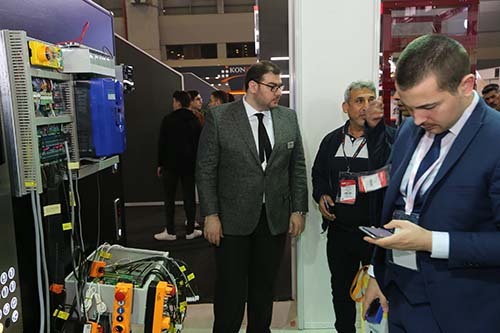 International CNR Eurasia Elevator, Escalator Industry, and Technologies Exhibition opened its doors at CNR EXPO İstanbul for the 4th time this year. The exhibition organized with the participation of 150 leading companies of which 30 are international companies from Germany, China, India, and Italy displays a vast variety of products including elevator cabins, automatic door systems, electronics, security systems, and accessories. Nearly 30 thousand domestic and international buyers are expected to visit the exhibition until March 23. Don't be late to visit CNR Eurasia Elevator Exhibition, the biggest meeting of the industry..
AYSAF-International Footwear Sub-Industry Exhibition, one of the two biggest trade fairs of the world's footwear industry, will be held on May 2-5 on 60 thousand square meters area. The exhibition will spread and host more than 25 thousand professional buyers, more than 450 domestic and international companies and over 1000 brands. AYSAF organized for the 61st time this year at the global trade center, CNR Expo İstanbul, offers unique commercial opportunities for its international participants. Opportunity to supply Turkey which has a population of 80 million people as well as to the neighboring region's footwear production. Please contact us to take advantage of many services such as transfer, accommodation, catering and stand installation provided for AYSAF participants. Ark Asansör Makine ve Motor Sanayi which has been putting its signature on innovations that enrich the industry in the elevator machinery and engines will be at CNR Eurasia Elevator Exhibition on March 20-23, 2019. The company will display its new products, MASS 140, MASS 150, and other gear and gearless innovative product lines at their stand 3-A06 located on the 3rd Hall at CNR Expo, İstanbul. Since its establishment in 1994, Ark Asansör Makine ve Motor San. has become the leading company in the industry thanks to its innovative machines and its principle to keep customer satisfaction and trust in the forefront. AYSAF, the most significant meeting of the Turkish footwear sub-industry which has a distinguished place in the world footwear sub-industry not only in production but also in design and technology, will open its doors for the 61st time on May 2, at CNR Expo, İstanbul, the center of export. AYSAF, the International Footwear Sub-Industry Exhibition is one of the two biggest trade fairs in its field in the world. The exhibition will bring together more than 1,000 domestic and international brands with over 25 thousand professional buyers. 2019-2020 Fall/Winter footwear sub-industry designs and the latest technologies will be displayed at the exhibition, where new products will be introduced to buyers and exhibitor companies will increase their brand recognition and trade volume. AYSAF organized by Pozitif Fairs, a CNR Holding company, in cooperation with TASEV (Turkish Footwear Industry Research and Education Foundation), AYSAD (Turkish Footwear Components Manufacturers Association), Ministry of Trade and KOSGEB (Small & Medium Enterprises Development Organization of Turkey). The exhibition will showcase 2019-2020 Fall/Winter models of the footwear sub-industry until May 5. Turkey is the fourth largest exporter country in the world and EVTEKS is the largest trade fair of the Turkish home textiles which makes a significant contribution to the sector's achievement of 2023 export target of 5 billion dollars. The home textile industry closed 2016 with 2.7 billion dollars of export volume, 2017 with 2.8 billion dollars and saw a 10 percent increase in 2018 closing at 3.3 billion dollars. The industry aims to exceed 3.5 billion dollars in 2019 to once again reach its export targets with the significant contribution of EVTEKS. Germany, USA, Russia, Italy, UK, France, Holland, Poland, Iran, and Romania are the top 10 export destinations of the industry. Copyright© CNR HOLDING. All Rights Reserved.